Yesterday a bipartisan group of House members re-introduced anti-gun trafficking legislation. Today, Reps. Carolyn Maloney (D-New York), Patrick Meehan (R-Pennsylvania), Elijah Cummings (D-Maryland), Peter T. King (R- New York), Mike Fitzpatrick (R-Pennsylvania), Robin Kelly (D-Illinois), Dan Donovan (R- New York), and Tammy Duckworth (D- Illinois) are re-introducing a bipartisan bill in the House of Representatives to make firearms trafficking a federal crime and impose stronger penalties for “straw purchasers” who buy guns for convicted felons and others who are prohibited from buying guns on their own. The re-introduction of The Gun Trafficking Prevention Act of 2015 comes on the heels of a House Committee on Oversight and Government Reform hearing tomorrow on violence at the U.S.-Mexico border. In March, the Bureau of Alcohol, Tobacco, and Firearms reported that more than 100,000 guns were recovered in Mexico and submitted for tracing from 2009 to 2014. Of those, 70% originated in the United States. This legislation directly addresses concerns raised by law enforcement officials who have testified before Congress that a dedicated firearms trafficking statute would help them combat the flow of thousands of firearms to violent criminals, international drug cartels, and a host of other dangerous people. -Prohibits Firearms Trafficking: The bill prohibits the purchase or transfer of a firearm if the intent is to deliver it to someone else who is prohibited by Federal or State law from possessing one. -Strengthens Penalties for Straw Purchasers: The bill strengthens penalties to up to 20 years imprisonment for “straw purchasers” who intentionally provide false or misleading material information when they purchase firearms from Federal Firearms Licensees. -Enhances Penalties for Kingpins and Multiple Illegal Purchases: The bill provides enhanced penalties for organizers or managers of firearms trafficking networks and recommends that the Sentencing Commission increase penalties for multiple illegal gun purchases. 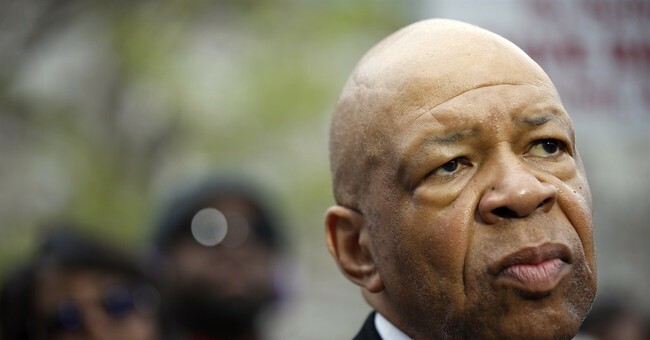 First the 70 percent figure used in the material above, which was released by the office of Democratic Rep. Elijah Cummings, is completely false. Regardless, lawmakers continue to use the number in order to scare people into more gun control. The real figure is around 18 percent. There is no "iron river" of guns flowing from the United States to Mexico as lawmakers, President Obama, former Attorney General Eric Holder and former Secretary of State Hillary Clinton have often claimed. Cartels get their firearms for cheap through Chinese or South American sources, not from U.S. gun stores. That is of course unless ATF is forcing law abiding gun dealers to sell thousands of guns to Mexican cartels through operations like Fast and Furious. Further, many of the guns "traced" back to the United States got into Mexico through government sales to the Mexican military. Those firearms are often lost or stolen in a corrupt system and end up being used by cartels for violence. Mr. Jones acknowledged in questioning by Sen. Ted Cruz, Texas Republican, that of 48,321 cases involving straw buyers, the Justice Department prosecuted only 44 of them — saying that “hard decisions” to prosecute were made based on “limited resources.” He also acknowledged that as the U.S. attorney in Minnesota, he never prosecuted anyone accused of being a straw buyer. Piling more bureaucracy on top of an ineffective system doesn't do anything to prevent gun trafficking, but in fact fuels corruption. Finally, it should be noted this legislation is sponsored by Bloomberg's anti-gun Everytown. Reps. Carolyn Maloney (D-New York), Patrick Meehan (R-Pennsylvania), Elijah E. Cummings (D-Maryland), and Robin Kelly (D-Illinois) are either incompetently informed, or intentionally lying… and I’m strongly leaning towards the later. While the ATF is more than happy to be dishonest as an agency in a vague report, they sing an entirely different tune when you put individual ATF agents under oath and force them to be honest in front of Congress. We discovered that just 18-percent of the firearms recovered from cartels came from the United States, and less than half of those (7,900) came came from dealers, many of whom were providing guns to the cartels as part of the ATF’s gunwalking plots. These Democrats want to stop gun trafficking? They can start by stopping their participation in the stonewalling Congressional Oversight Committee, which is still attempting to discover who precisely who is responsible for gun walking plots that are provided weapons used in more than three hundred murders of citizens and law enforcement officers on both sides of the border.